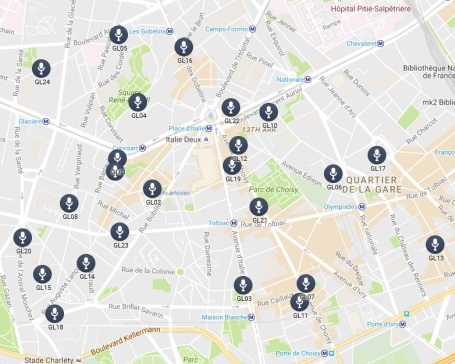 The main goal of the GRAFIC research project, performed by the University of Cergy-Pontoise in collaboration with Bruitparif, Ifsttar and Ghent University, is to develop new techniques to draw maps with high spatial and temporal resolution of sound metrics that are closely related to how people perceive the urban soundscape. Within the project, a case study area was selected: the 13th district of Paris. On the one hand, long-term sound measurements had to be performed at locations that provide a good spatial coverage of this study area, and on the other hand, the soundscape should be characterized in each street of this study area, preferably using a mobile setup. ASAsense provided 24 cost-effective sound measurement stations for the GRAFIC project on a rental basis, for a period of 18 months. 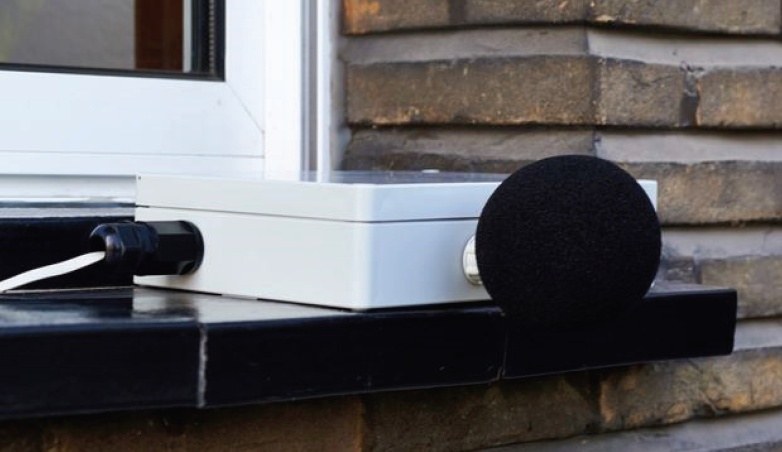 These fully plug-and-measure stations were placed at the façade (typically on a windowsill) of the dwellings of volunteers living in the area, and measured the sound level in 1/3-octave bands with a temporal resolution of 125ms. This data was sent over the internet to the ASAsense servers, and a large set of aggregated indicators was calculated on-the-fly. Raw as well as aggregated data was then made available to the researchers of the project. As the measurement stations made use of the power and internet connection of the volunteers, the stations had to be very robust against power interruptions and internet connection failure, including data buffering. Next to the fixed measurement stations, 5 mobile measurement stations were provided, which were used by the researchers to map the soundscape in all streets of the study area. These stations include a battery that provides 8h of autonomy, and also continuously record the sound for subsequent source recognition purposes. B. De Coensel, K. Sun, W. Wei, T. Van Renterghem, M. Sineau, C. Ribeiro, A. Can, P. Aumond, C. Lavandier and D. Botteldooren. Dynamic noise mapping based on fixed and mobile sound measurements. In Proceedings of Euronoise, Maastricht, The Netherlands (2015). D. Botteldooren, T. Vertriest, M. Boes, B. De Coensel, P. Aumond, A. Can, C. Ribeiro and C. Lavandier. 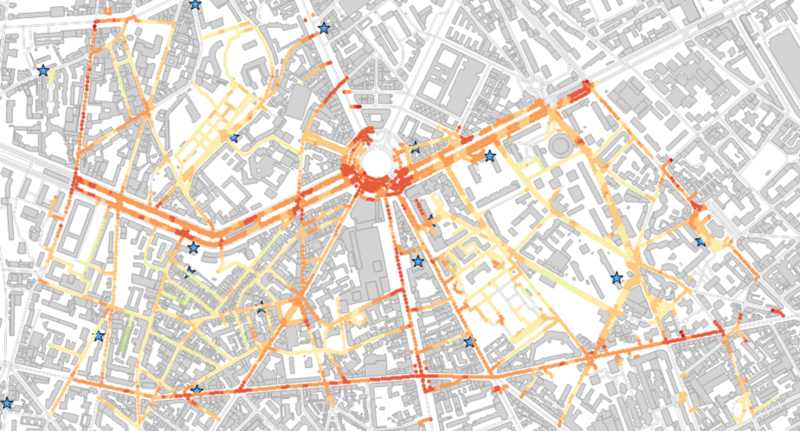 Data mining on urban sound sensor networks. In Proceedings of ICA, Buenos Aires, Argentina (2016).